Many new players have joined us for Black Ops 4, come join us and it is guaranteed that you will enjoy your time here! The community is very friendly and have open arms when accepting newcomers, don't be shy and join us on our Teamspeak3 server. Also, come talk to us on our forums! We have now created a specific forum section and division for Call of Duty within the UWS gaming community! If you love playing Black Ops 4 or any Call of Duty, then join United We Stand and enjoy the Call of Duty franchise here! We have many members that would love to gain more enthusiasts of the Call of Duty games, especially the new release of Black Ops 4! Weekend is here and we are growing rapidly! If you are a player of Black Ops 4, come join us! We love newcomers and happy to have you catching games with us. ALSO, we are a multi-gaming community! Don't feel like you need to be stuck with Black Ops 4 when joining us, we have many players playing other games such as Battlefield V, DayZ, PUBG, and EFT. Nuketown was released yesterday for PC! The Call of Duty Division of UWS had a great time playing Nuketown's playlist dominating the enemies. If you want to be apart of a friendly team that wants to play Black Ops 4 with active players every day/night then this is the gaming community for you! We have players on during the day or during the night, depending on your schedule, you will be able to play with someone whenever! 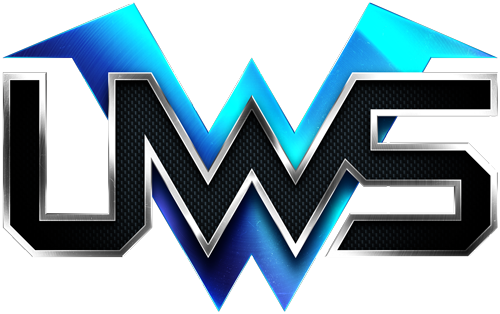 Come join UWS, a friendly multi-gaming community, that will guarantee you enjoyment and stress-free gaming! Playing with us doesn't require you to apply in joining UWS, we welcome gamers that just want to come and hangout as well. Thanksgiving has passed and I hope it was a great one for everyone! "Quad Feed" 2XP is live on Black Ops 4, this means you can get 2XP for multiplayer and zombie levels, 2XP for black market tiers, 2XP zombie plasma, and 2XP for blackout merits! Come catch some games with us at UWS, we have many members grinding out the "Quad Feed" 2XP event and playing the new Nuketown map! The awesome "Quad Feed" 2XP is over sadly.... but they gave us awesome night and sunset style maps to play with for a sweet looking change of scenery! Come join UWS for some games of Black Ops 4 multiplayer, zombies, or blackout! We are a friendly multi-gaming community that are always recruiting new players that have a passion for games. We have also just created a competitive team for Black Ops 4!